Stealing Music: Is It Wrong Or Isn’t It? "...But over the last few years the line has blurred to the point where there really isn’t any line any more. We can listen to free, on demand streaming music at MySpace Music and lots of other sites. It’s ok to do it at MySpace, but it’s wrong to do it at Project Playlist, just because the right contracts aren’t in place? Just a couple of years ago anyone listening to free streaming music anywhere on the Internet was violating copyright and subject to being labeled unethical. Today, its no problem. And you don’t even have to listen to audio ads..."
Above is an excerpt. Be sure to read his full article and opinion. As the creators of the vast and varied world of Second Life, the Residents are the final authority on what is the coolest, cleverest, weirdest, fun-est, and most inspiring. We know it. You know it. And here's your chance to show it. Recommend exceptional people, places, and things inworld. Reward innovation, interactivity, heart and style. Your World. Your Imagination. Your Award. All active Residents of Second Life are welcome to participate. Voting is easy, and no purchase is necessary. Just click the Vote Now button to cast your ballot on all 35 fantabulous questions during the voting period (March 31 through April 7, 2009). Make sure when you vote to provide a SLurl or avatar name for each award question. That’s how we can check to be sure we know exactly who or what you’re voting for. Want to learn how to locate a SLurl? Check out the SLurl builder. Want to learn more about what a SLurl is and how they work? Check out our SLurl information page. When you vote you’ll need to provide your Second Life account name (that’s your avatar name, silly) so we can be sure you have an active account. You’ll also be asked to select your language from the options of English, German, French and Japanese. That will allow us to share the winners for each language community. Second Life Residents’ Choice Award Winners will be posted here on April 17th, 2009 and will be represented inworld too! Your favorite things to do and see in Second Life will help newbie’s and long-time Residents alike explore the world available to them. You’ll be voting on a little bit of everything! The questions are asking about 35 of your favorite places, things and people in Second Life. IndieSpectrum Radio is the top SL radio station according to the Shoutcast listings for last month. Over 21,000 tune ins and in the top half of all the radio stations on those web listings. The web page, with your links, had over 99,000 hits last month! We would like to help those artists that help us to support and promote live music in SL. Do any of the following and get bumped to the top of our playlist. **Give out our free radios at your shows (boxed with 9 radios, iPods, antique, audio rack and surround receiver; with now playing signs or not). **Get your favorite live music venue or any SL sim or business to play our stream and you will get bumped and that business will get free 30 second spots on the station, if you arrange it with announcements of your gigs. **Send us music! Any new song gets all your songs bumped to the top. **Do bumpers, voice recordings, intros or outros to your songs. You can do a generic one or one for each song. Just say "This is (your name) and your are about to hear my song (song name) on IndieSpectrum Radio" or do a just heard, whatever you like around 10 seconds. **Have ISR simulcast your live shows. We need your stream URL and dates and times. Don't have this automated yet so someone has to be around. All tips that come in from the ISR radios that come in during a simulcasted show will go to you, unless you would like to split them. From BeatsDigital: Yes, we've listened to your feedback and rebuilt the search engine, so we can now deliver you super-fast and clearly displayed search results. We know that many of you found searching a drag at BeatsDigital, but you'll now be able to locate the tracks, labels and artists in an instant. The new search results page is clean and functional, with all results categories displayed on the same page. Check it out now and feel the difference! I find these posts very important. Bookmark the articles; they may come in handy for you some day. Everything written in each article is worth the read, however, if I were to add my personal note for the reader, I would say that generally, articles about "how to run a successful event" or "how to run a successful promotion" explain the basics of how to technically and logistically create a basic event. For me, what is most effective about an event I create is the creativity, the guts, and the people involved. Finding ways to NOT fit the mold is what I feel works best in Second Life. "Second Life is a great place for people who enjoy listening to or creating music. People who like to listen to music will find a wide range of styles and unique venues to explore. Musicians can share their work with a global audience by performing live concerts in Second Life. It's also a unique opportunity for artists to directly connect with fans around the world, taking requests and communicating with them in a live environment. Just like playing a gig in Real Life, but without the hassle of carrying your gear around and traveling! 1 How does this all work? 2 I'm a musician and want to perform my music live to an audience in Second Life. Where do I start? 3 I'm a DJ. Can I spin my music live to fans in Second Life? 4 I'd like to listen to some live music going on in Second Life. How do I find it? 5 I need some technical help in streaming music to my land in Second Life. Where do I look for more information? "...Repeat after me: Promotional events exist to promote sales and increase exposure. They don’t exist to promote hate and increase lag, which is what you’re doing! How exactly promotional events and most importantly, promotional giveaways promote sales?..." "Music is a business? It is to people who want to make a living at it. An important part of that business is promotion. I have been developing some ideas about how musicians can promote their acts in Second Life. When I get the ideas well developed, I will put them into the Hobo Starter Kit, but I think I have enough useful material to share some of it here. Advertisers/ Sponsors (Get paid for ad placements and commercials)..."
How Vocal are you when it comes to Second Life Issues, Policy, and News? This week several scary stories surfaced about how the MPAA and RIAA are negotiating with ISPs on how to deal with copyright infringers. Even though it was often presented as news, those who look deeper will realize that this is nothing new at all, just the same old threats dressed up in a new jacket. It’s has been a good week for the entertainment industry lobbyists. Hundreds of news outlets wrote in detail about how the RIAA and MPAA are negotiating with Internet service providers to warn alleged copyright infringers. No one seemed to notice that this isn’t really news as they’ve been working together for years, with ISPs passing on warnings to their customers on behalf of the studios. It all started with rumors about two US ISPs, Comcast and AT&T, who were said to be doing a three-strikes deal with the RIAA. It soon became known that this rumor was completely fabricated, but not before hundreds of other news oulets reproduced the story. At the end of the week it turned out that there was no news at all. Yes, the RIAA, MPAA and other outfits do plan to send copyright infringement warnings to ISPs, but they’ve been doing so for at least half a decade. Every other month these Hollywood lobbyists pitch their anti-piracy efforts to the public, and that’s exactly what they are paid for. This doesn’t mean, however, that something is about to change. The anti-piracy outfits are happy with all the free publicity of course, that is exactly what they are after. Their purpose is to scare people. In this post we hope to clear up some of the misunderstandings, as we show that the scary stories published this week have no substance at all. For years, content owners such as record labels or movie studios have been sending copyright infringement notices to ISPs, who are legally obliged to forward these to their customers. Some ISPs simply ignore them, while others faithfully forward the emails to the customer account associated with the infringing IP-address. Many ISPs don’t keep records of these events. So, is my ISP spying on me? No. This is a common misunderstanding. ISPs don’t look into your specific downloading behavior, they never have and there is no indication that this will change anytime in the near future. All the ‘evidence’ comes from organizations that work for the copyright holders. If you receive a warning, all copyright holders know about you at this stage is your IP-address and what files were (partially) shared via your account, or more accurately - the bill payer’s account. The MPAA, RIAA and others don’t know your name and they never will unless they get a court order forcing your ISP to hand over the information. In the bigger picture, this is very rare. How did they track me down? The copyright holders hire companies such as BayTSP and DtecNet to track down people who share certain titles on BitTorrent and other file-sharing networks. They join the swarm and request files from others. When someone shares a piece of the file with them they log the IP-address, look up the ISP and send out a copyright infringement notice automatically. Unlike the file-sharers, these companies are authorized to download these files, so they are not infringing copyright themselves. Will I get sued if I receive a warning through my ISP? No. These copyright infringement warnings are not related to any legal action. Copyright holders do go after people who share their work on file-sharing networks, but this has nothing to do with the warnings they send out via ISPs. Will they take my Internet away? No. Although there is a lot of talk about “three strikes” policies, no ISP has agreed (or was forced) to disconnect users after they receive their third warning. In New Zealand they came close to implementing a law that would require ISPs to do this, but this proposal was pulled. In France they are also considering three strikes legislation, but this has not passed into action yet. In Ireland the largest ISP Eircom said it would disconnect repeated infringers only if they receive a court order. It is worth mentioning though that ISPs may cut off people whenever they think it’s necessary. Cox does this in the US for example, without an agreement with the MPAA or RIAA. ISPs have terms and conditions and most forbid copyright infringement, but really this is just to cover their own backs under the law. Receiving a regular infringement notice is nothing to be worried about. However, if you download copyrighted files without authorization from the copyright holder you are breaking the law in some countries. If you receive a warning without having shared anything yourself (which happens quite often) then there’s nothing to worry about. Can I protect (hide) myself? If you don’t want to be spied on when using BitTorrent the best option is to hide your IP-address. You can do so by subscribing to a VPN service or by using software such as TorrentPrivacy. Blocklist software such as PeerGuardian is often recommended, but it is also highly ineffective as the lists are never fully up-to date or accurate. The MPAA and RIAA don’t want their products on file-sharing networks and they use these warning emails to deter people from sharing these files with others. Since it’s much cheaper (and effective) than suing people, this is now their strategy of choice. Using news outlets to spread their doom and gloom scenarios is just part of their operation. In the future the amount of warnings they send out to alleged infringers will increase and the studios and ISPs will work together to keep the associated operating costs down, if that’s not what they’ve already been doing in their recent meetings. It’s just the old model, scaled up with a rumor or two on top. Doubledown's Note: To me, this all rings true in relation to the gray area involving live music streaming into Second Life and the licenses we may or may not need. Israeli funk musician by the name of Kutiman created a new Youtube remix EP called THRU YOU. Kutiman creates an amazing audio-visual experience by cutting and mashing other Youtube videos together to make his own funky soul video tunes. An in world publication focused on the Live Music scene in Second Life. Interest entertainment and resource. You are a musician new to SL? Be sure to checkout the Open Mic directory! The purpose of Matters of Music is to provide a central hub of communication for musicians, music groups, land, venue and open source grid owners. As the open source grids begin to come to fruition, new opportunities can be realized by all parties, these are more quickly and fully realized, by strong communications across the board. So Matters Of Music was born. We welcome you to bring to this site, news of your conducive ventures and complimentary interests, so that your virtual contributions may be represented. Land Art in Second Life – A historical perspective of land art in real life and an introduction to virtual artist Comet Morigi, a land artist in Second Life. Posted by Bettina Tizzy of Not Possible in Real Life. Here is an excerpt from the article. Check out the full story HERE. 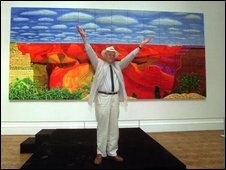 ..."While economies of scale in Land Art are paramount in Real Life, creating art on a very grand scale is nowhere near as problematic in virtual worlds. In Second Life® and on OpenSim grids, residents are magically empowered with land-altering – though quite indelicate - tools that enable them to instantly raise, lower, and sculpt the ground up to ± 100 meters, depending on the estate. Japanese artist Comet Morigi became known to me when I came across one of her works quite by accident: an immense curtain-like particle effect that is driven by the sim’s wind (teleport directly from here)...."
The Kaaos Effect at Orange Island (SLURL link). Officially open to the public on Friday March 20th. The Kaaos Effect is an original game sponsored by Orange, as part of an ongoing effort to encourage and sustain innovative content creation on the Second Life platform, via its Orange Island Community. The Kaaos Effect is intended to be a unique, individual experience. It is different for each player. There are hidden clues and bonus items in the game. To make sure that you have found everything there is to find, check out your progress at www.madpea.com/statistics. You may also want to look at a few initial guidelines to help you get the most of the Kaaos experience. MadPea Productions is a games development company based in the virtual world of Second Life. Makers of acclaimed puzzle games 'Within', 'Firefly', 'The Zodiac Killer' and more... MadPea are an international team of talented content creators, who aim at taking games in Second Life to a new level. Find out more about MadPea's vision in our interview with their lead game designer Kiana Writer. The France Telecom Group is one of the world’s largest and most successful integrated communications companies. The Group offers enhanced mobile, fixed line, television and internet services to customers through the Orange brand. At the heart of the Orange brand lies the belief that together we can do more. By contributing to peoples’ lives, by helping them to build stronger communities, sharing their experiences and make more meaningful connections. Through the Orange Island project, we hope to not only learn more about virtual communities but also collaborate and innovate with them, as we are doing with our content partner MadPea Productions. Before I get to BBC's article, I want to congratulate Vector76 who built sim, along side Pixel Palace, a digital project of Tyneside Cinema, the live DJs, the staff, and of course NewcastleGateshead in SL. This collective put together a truly amazing event. Plus congrats to SL's Dubstep warrior DJ CaptainBuck Rogers. As I recall, CaptainBuck was the first dubstep DJ to enter Second Life. Digital technologies challenge the cultural industries, says Bill Thompson. I had one of the strangest experiences of my online life last Friday evening in the bar of the Tyneside Cinema in Newcastle, and while I'm still not sure what it means I enjoyed it, in a odd sort of way. It came at the end of a conference on the future of cinemas and other artistic venues in a digital world, while we were enjoying a DJ set from CaptainBuck Rogers. The music we were listening to was being streamed live into the virtual world of Second Life, and being played out in replica of the renowned Baltic Mill gallery, situated on a newly-opened virtual Tyneside island developed by a local company, Vector 76. I could see my avatar moving around on the screen of my computer, but I was also clearly visible among the crowd projected onto the wall, dancing like every teenager's embarrassing dad in cyberspace while drinking a deliciously cold beer in the real world. It was profoundly disquieting to find myself in three places at once, but it helped me reflect on how new technologies are shifting the boundaries of the arts and culture, and it was a very appropriate end to a day which had been spent considering how arts venues are being challenged by digital technologies. The network could be about to unleash a wave of creative cultural destruction as great in its impact on all cultural activism as the rise of modernism was in the last century. The conference was called 'Clicks or Mortar?' in reference to the question facing many retailers who are struggling to decide whether to put effort into online or shop-based sales and marketing, and was part of a programme of debate and discussion I've been helping to lead at Tyneside since it reopened last year after extensive - and expensive - rebuilding work. As you might expect, it was a day with many more questions than answers, although by the time we headed to the bar there were lots of plans for exploration and innovation being hatched between the theatre directors, curators, cinema managers and social media experts who had spent the day together. There might even have been a sense of optimism about the future, since nobody had tried to argue that everyone would abandon their desire to share space and art with other people even if high speed networks, home cinema systems and social tools meant the quality of the home experience continued to improve. But there was also great concern that venues such as cinemas and theatres may not survive in their current form. Of course it is far too easy to frame any debate about the future development of the arts in terms of a 'crisis', and theatre, opera, cinema, the novel and even the very idea of the author have all been through more crises than most of us care to recall. Can art galleries survive in the digital age? Yet there is a strong case to be made that the combined effect of the collapse of the current iteration of globalised capitalism and the social changes wrought by digital technologies really do merit the use of the term this time around, and that it might sensibly be applied to the whole cultural scene rather than just one aspect of it. New technologies offer new ways to create and experience art of all types, but they also offer new conceptual frameworks within which art can be created, from the immersive environments of video games like Grand Theft Auto IV to the complex mathematical modelling that underpinned My Secret Heart, one of the works shown at the conference as an example of current practice, and this could have significant consequences for current cultural practice. Anyone who has heard me talk about the impact of technology will know that I am a great admirer of Joseph Schumpeter, the twentieth century economist whose described the way that new production methods often destroy successful companies when they leave it too late to adopt innovations because they are wedded to currently profitable practices. He named the process 'creative destruction', and his work still provides a useful framework for understanding how Microsoft challenged IBM, Amazon challenged the booksellers and Google destroyed Yahoo! It can also be applied to cultural production, but whereas in the past it has largely been driven by artistic innovations such as the invention of the first person narrative or atonal music, with technology secondary, the rapid rate of technological change may mean that those artists, artforms and venues that make the best use of the capabilities of the new technologies will sweep away those who fail to innovate. 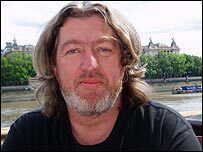 Bill Thompson is an independent journalist and regular commentator on the BBC World Service program Digital Planet. One of the commercial applications for Second Life is immersive learning. And this is not only for universities and colleges. High-tech firms like Adobe Systems and Microsoft are using SL as a unique learning environment. 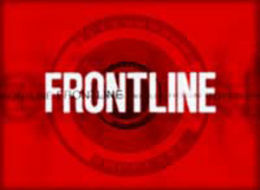 FRONTLINE wants to hear stories from your Digital Nation. We invite you to tell us about a friendship developed on the internet, share your insights about how technology is impacting the way you live and work, or show us a furious session of multitasking with whatever digital tools you use. Give us a glimpse of your Facebook life or your online avatar, interview someone else about their most memorable online experience, or just tell us what you think all this technology is adding up to. It's a FRONTLINE documentary and interactive website exploring how technology is affecting every aspect of our lives -- from parenting to dating, the classroom to the military, free time to free speech. The website will launch eight months before the film airs. As we're reporting, shooting and editing the film, we'll be posting footage on the web and blogging about our process. YOU have a chance to join in by contributing, commenting and reacting. 1. Check out the list of ideas & suggestions on what to submit. 2. Be creative: make a submission using video, photo collage, audio, animation. 3. Upload your creation to a file-sharing site of your choice (Flickr, YouTube, etc.). Tag your submission & be sure to include the tag "dig_nat". See examples of other submissions by searching for the "dig_nat" tag on YouTube. The official launch of Digital Nation online is March 24, 2009. Submissions are ongoing, but to be featured in the launch, send us the link to your story before March 14th. Did you start an important relationship online? Or has the internet brought people back into your life that you'd prefer to forget? Have you been e-snooped on? Have you e-snooped on someone else? Tell us the story. Have you ever sent a text or email that you then regretted? Tell us about the new social etiquette of digital life. Do you have a hard time not checking your email every few minutes? Tell or show us how digital tools are affecting your attention span. How do you parent in the age of the internet? What are the challenges? Has your identity ever been stolen or compromised? What happened? How did it feel? Is technology increasing our productivity? Is this a good thing? When does technology go too far in compromising our privacy? Where do you draw the line, and why? Do we need more technology or less in America's classrooms? Does technology make us closer or more distant? Is there a gap between those of us who grew up with technology and those of us who didn't? Where do you notice it? Are you constantly texting? Grab a camera and read aloud all of the texts you send back and forth in a day. Google yourself. Tell us what you find. Does it surprise you? Unplug for a day (or a few hours!). Document yourself (or a friend) living the low-tech life. Show us your “technology rituals”. What are your routines? Show us your online identity/avatar. What makes it special? Is it different from the “real” you? Show us how your baby interacts with technology. Are you a 'digital immigrant' struggling to catch up with the digital age? Set yourself a goal, and document your battles with technology. 1. If you want to share a story but don't know where to start, try looking through our list of questions. Think of your daily life and how technology plays a part in it. What are your happiest/saddest/most embarrassing moments in digital life? Once you have figured out what you want to say, it's time to create your submission. 2. Be creative, create a submission using video, photos or audio. You may already have photos or footage you want to use. Otherwise, this can be as simple or as fancy as you want it to be. If you've never worked a video camera before, try using your camera or cellphone (many have video recording settings now) and get a friend to record you. Or if your computer has a camera, just talk into it! If you want to learn more about video production, there are lots of great resources online. The YouTube help page has lots of great "how to" videos on making, editing, and uploading work. 3. Upload your submission to a file sharing site (Flickr, YouTube, etc…) Once you've made your submission, you have to make it public. The easiest way to do this is though file sharing sites that let you post your work online for free. Sites like Flickr (http://www.flickr.com/) are great for photographs, and YouTube (http://www.YouTube.com/) is great for videos. They also have easy instructions on how to set up an account and how to post material. Tag your submission! Be sure to also include the tag dig_nat. For example, if in your submission you are talking about trying to keep your kids safe online and monitoring their internet usage, you would tag your content "dig_nat, online safety, parenting, kids"